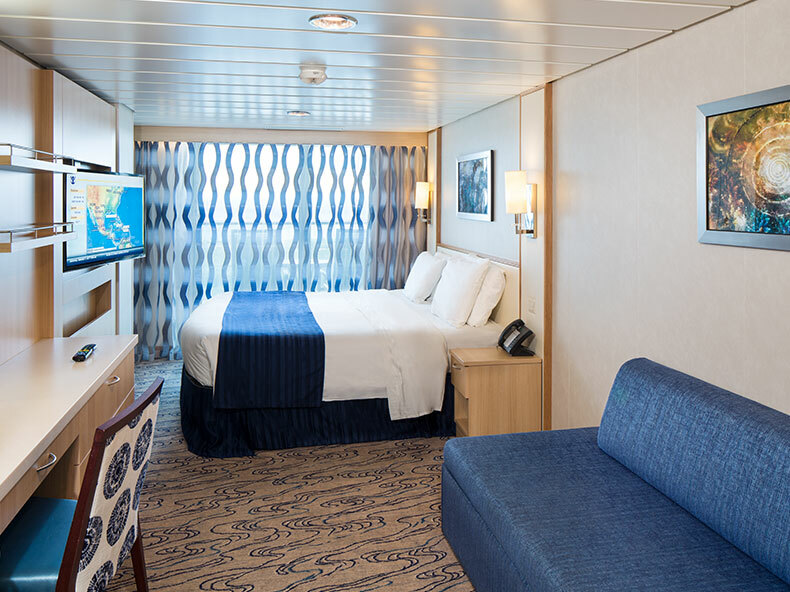 Stateroom: 622 sq. ft. Balcony: 160 sq. 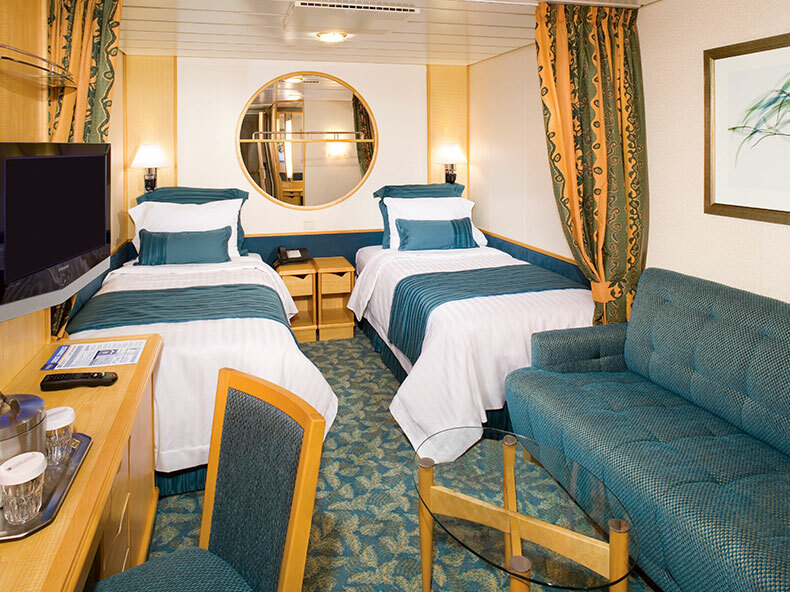 ft.
Stateroom: 381 sq. ft. Balcony: 89 sq. 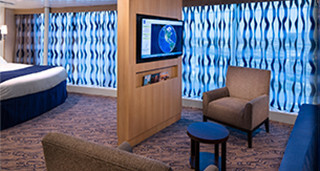 ft.
Stateroom: 317 sq. ft. Balcony: 65 sq. 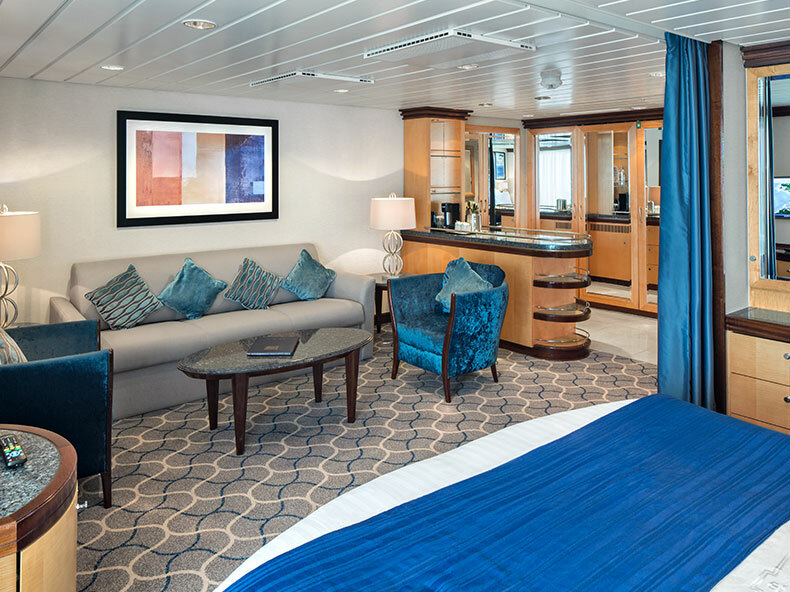 ft.
Stateroom: 610 sq. ft. Balcony: 208 sq. 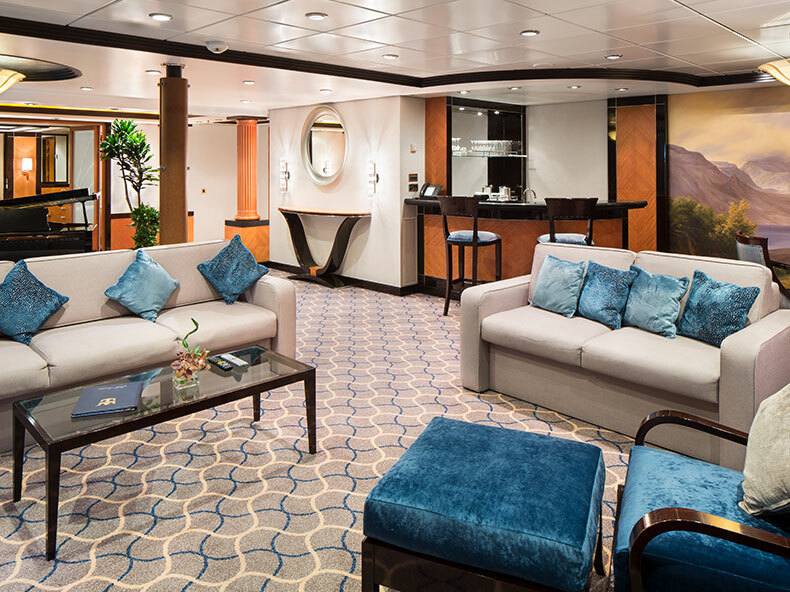 ft.
Stateroom :1,406 sq. ft., balcony 377 sq. 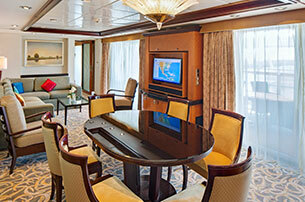 ft.
Stateroom 1,302 sq. ft. Balcony 845 sq. 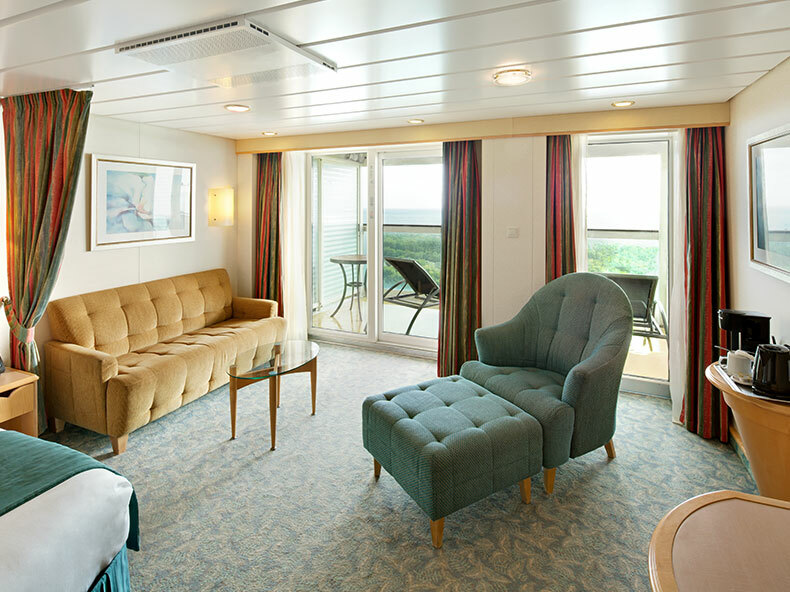 ft.
Stateroom: 188 sq. ft. Balcony: 46 sq. 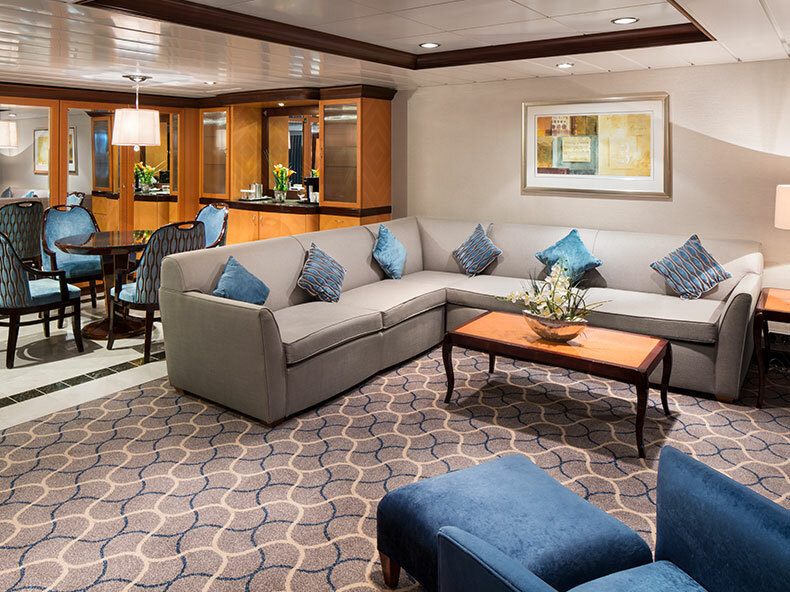 ft.
Stateroom: 188 sq. ft. Balcony: 46 sq. ft. Also available as a Quad. 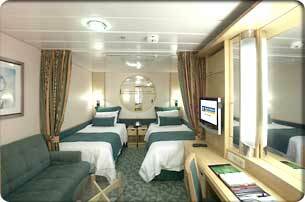 Stateroom: 199sq. ft. Balcony: 42 sq. 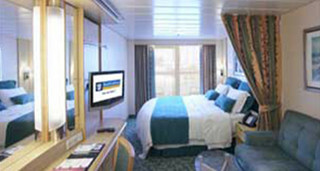 ft.
Stateroom: 199sq. ft. Balcony: 65 sq. 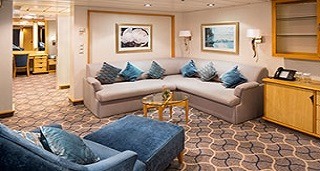 ft.
Stateroom: 189 sq. ft. Balcony: 46 sq. 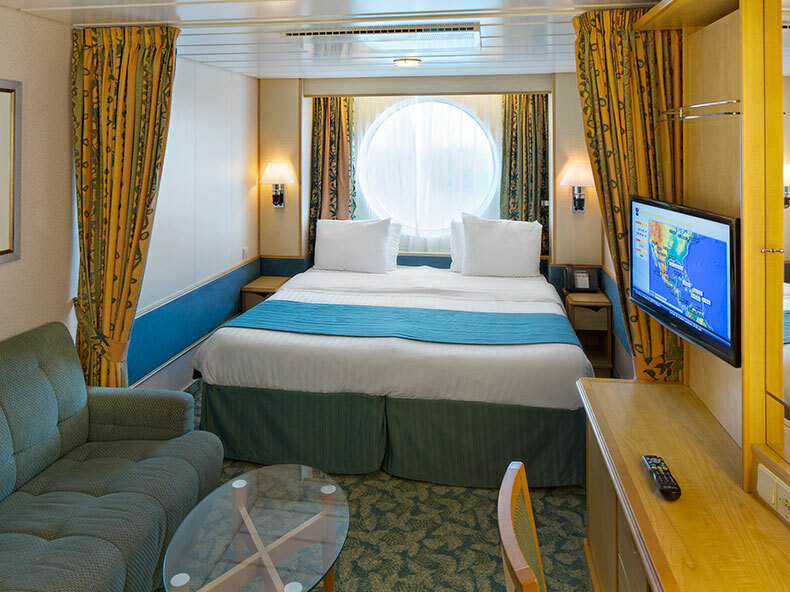 ft.
Stateroom: 180 sq. ft. Also available as a Quad. 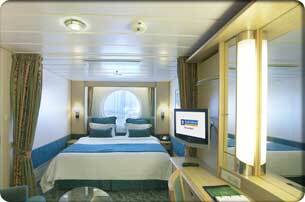 Stateroom: 150 sq. ft. Also available as a Quad. 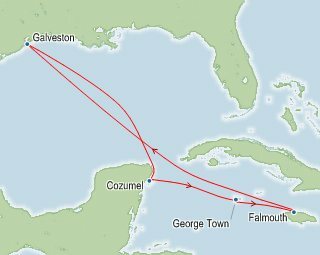 Port Charges, Taxes & Fees $295.17 per person.